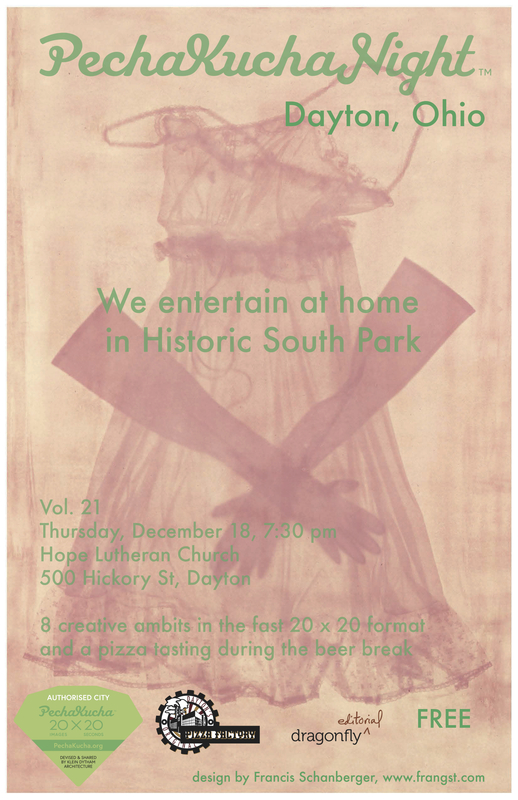 Last month I was asked to design a poster for Pecha Kucha Dayton based upon my presentation in early November. This poster was placed in local businesses to provide the date, time and location for the last Pecha Kucha presentation of the year. I chose the anthotype of a nightgown with evening gloves that Bridgette affectionately titled “Flapper”. This morning PK Dayton provided a link to a Tumblr of the best PK posters made since 2012 and this poster was included. Here is a link to the Tumblr and below you can find a jpeg of the poster.